The 37-year-old American actress hit the red carpet in a pink Georges Chakra Spring 2019 Couture gown at the 2019 Academy Awards on Sunday at the Dolby Theatre in Los Angeles. 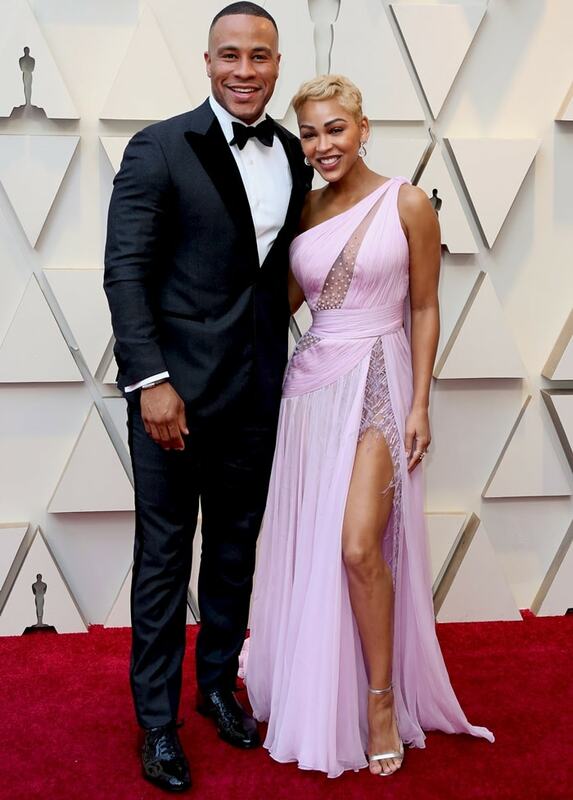 She was joined on the red carpet by her husband DeVon Franklin, an American Hollywood producer, best-selling author, renowned preacher and motivational speaker. He has a net worth of $10 million. Unfortunately, it looked like her dress had been ripped up a seam in order to create the split showcasing her incredible legs. She has already been named one of this year’s worst dressed. Meagan Good styled her one-shoulder Grecian-inspired pleated dress with bold eyebrows, metallic sandals, and blonde hair. Do you know how to prevent overhanging toes?